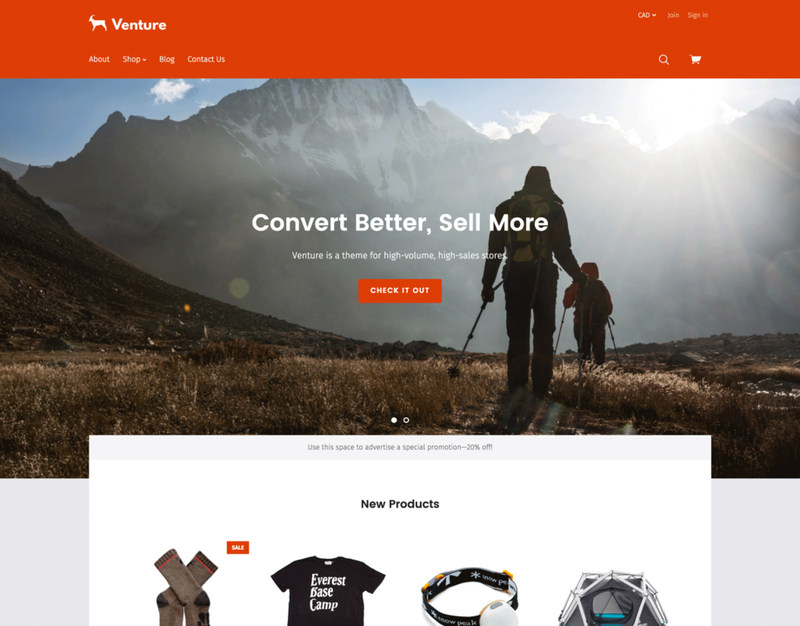 Venture is a theme for fast-growing online stores. It's ultra-powerful, versatile, and easily supports large catalogs with a wide range of products. 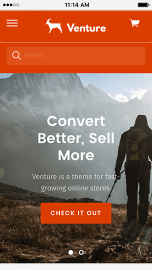 In-depth filtering and prominent product reviews lend your store an enterprise feel, while Venture's modern design remains stylish and sophisticated.